For many of us, much of our personal lives focuses on our relationships. Most of us spend a great deal of time thinking about finding someone to love or maintaining our current relationship. We may also think about whether or not our romantic partner is suitable for us and we may, on occasion, question if we really love our partner. However, for individuals with Relationship Obsessive Compulsive Disorder (R-OCD), these common thoughts and worries become intrusive and disturbing. Those suffering with R-OCD often have an expectation of how one should feel in a relationship and believe that one should have these feelings at all times. Individuals suffering with Relationship OCD often fixate on whether or not they love their partner and wonder about the intensity and depth of their love for their partner and whether they will be compatible as a couple in the long run. Obsessions in Relationship OCD can also include a preoccupation about their partner’s overall attractiveness and desirability. Relationship OCD can be highly destructive as the obsessions in Relationship OCD can often lead to the ending of an otherwise great relationship with a caring partner. It’s important to note that almost everyone, at some point in their relationship has doubts about their relationship. The difference between these normal relationship doubts and R-OCD is the level of distress individuals suffering from Relationship OCD experience from these persistent, unwanted thoughts. As with all sub-types of OCD, compulsions play a big part in what maintains the cycle of OCD. In R-OCD, as well as other sub-types of OCD with primary mental obsessions, most of the compulsions occur in the mind of the sufferer. As with all types of OCD, the compulsions are meant to alleviate feelings of anxiety, distress and uncertainty and reduce the occurrence of obsessive thoughts. Relationship OCD is very often misdiagnosed by mental health professionals. Because many mental health professionals do not understand the complexities of OCD and its many sub-types, many therapists interpret the symptoms of R-OCD as relationship problems. Conversely, well-meaning therapists may diagnose someone with Relationship OCD, when the issue is something else entirely. 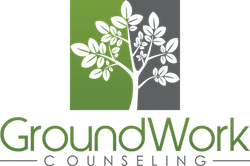 Fortunately, effective treatment for Relationship OCD (ROCD) is available at GroundWork Counseling in Orlando. If you find that Relationship OCD is getting in the way of developing and maintaining intimate relationships, therapists who are trained in Exposure and Response Prevention (ERP) can help you to love the one you’re with.